From 2010 to 2013, CFSC Consortium worked with the African Union Commission to research dominant attitudes among Africans (pan-Africa) on shared values for the continent. The Consortium, contracted by GIZ, supported the Department of Political Affairs and the Department of Social Affairs of the AUC, to create and manage African Shared Values continental advocacy effort. 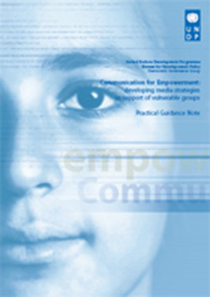 From mid-November 2011 to early January 2012, the CFSC Consortium and its partners Barometer Research (Mumbai, India) and New Dimensions Consultants (NEDICO) of Harare, Zimbabwe, undertook an evaluation process of the AIDS communication programming undertaken by SAfAIDS and Zambia Centre for Communication Programmes (including community mobilization, community dialogues, media, public service, and information distribution). The qualitative evaluation was designed to determine: what change have observed people in 4 districts of Zambia – located within the Copperbelt, Lusaka and Southern provinces; the change they believe is underway at individual and community levels; and/or the influences that people in these four locations think are contributing to the change that they believe is underway .This qualitative evaluation was based on a combination of in-depth individual interviews (with vulnerable group members, opinion and thought leaders, community leaders and men and women from the general population), focus group discussions, and case story interviews. 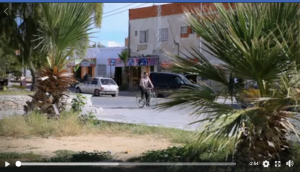 In 2011, The consortium trained staff, community partners and government officials in communication for social change, communication planning and strategy development for its work in waste management in Tunisia. Also conducted a communication audit of existing communication programmes, strengths and opportunities. 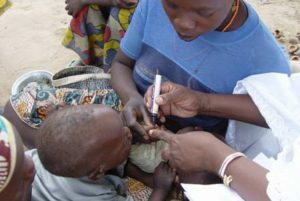 The Communication for Social Change Consortium worked on polio communication in Nigeria between 2005 and 2008, following the suspension of polio immunization in two northern states. The Consortium worked with several local partners (including the COMPASS Project, one of the largest integrated health and education projects in Africa) to help local people use community-based communication processes in order to better address the reasons why some parents reject polio vaccines for their young children. The consortium did extensive research on social norms and barriers to vaccination. The CFSC Consortium in partnership with UNDP Oslo Governance Centre, with funding from the U.N. Democracy Fund, implemented an initiative seeking to accelerate democratic participation in national development processes in six countries of Africa and Asia. The project comprised four main elements: national consultations, information and communication audits, building partnerships to develop strategic responses to meet the needs of poor and vulnerable people and disseminating results to regional and global audiences.